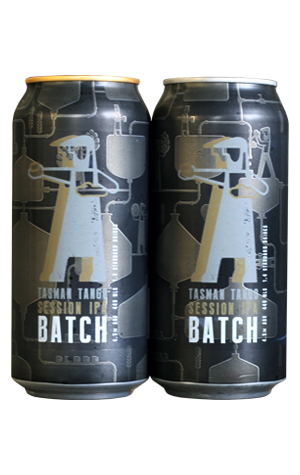 Is the Tasman Tango one beer done two ways or two totally different beers? Well, kind of both. Batch’s new Session IPA experiment involves taking one recipe but brewing it using two distinct sets of ingredients, each sourced from a different country. The Gold version is a showcase of Australian malt and hops while its Silver dance partner represents New Zealand grown ingredients. Flipping the coin and starting with the Kiwi version, the Gladfield malts do the subtle but important work of giving it caramel, nutty and roast characters before the Motueka and Rakau hops steal your attention with underlying herbal notes that move quickly into a quite pronounced gritty and spicy finish. The Gold, on the other hand, is a juicier prospect. The Voyager malt presents similar caramel and roast flavours but the Cascade and Vic Secret hops make it fuller and fruitier than its trans-Tasman cousin. With a good dose of mango and citrus character to focus on, the bitterness seems gentler too. Ultimately, the two Tasman Tango beers are quite different and it might take a bit of back and forth to pick a preference. Rather helpful, then, that they’ve packaged them in four packs so you get two cans of each.